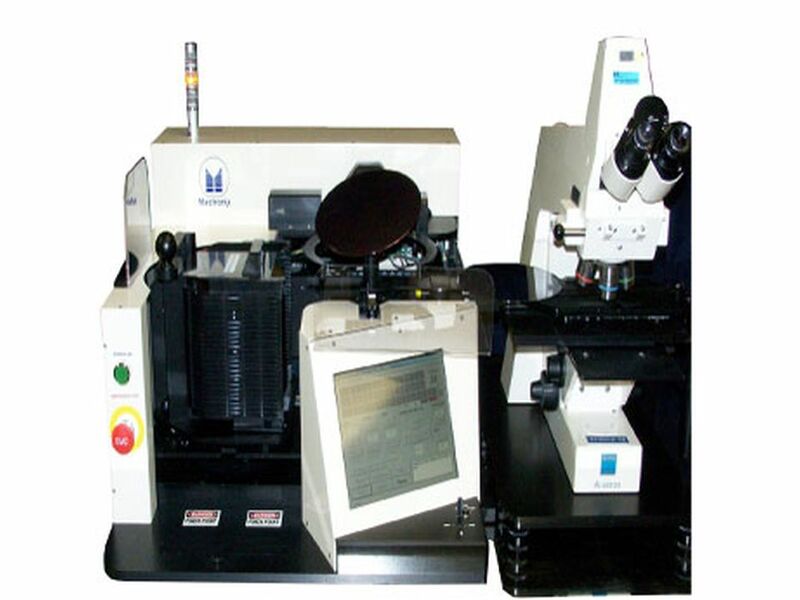 Exchange arm loads to microscope to maximize throughput. Fully Selectable Macro and Micro Inspection. Gimble controlled tilt and rotate front side macro inspection. Edge grip flip for unobstructed view of backside macro inspect. Automatic wafer return to cassette upon completion of inspection. Ergonomic load station to meet SEMI S8 requirements. Touch Screen Operator Interface with Virtual Instrumentation. Wafers vacuum held during inspection. Cassette mapping and crosslot detection system.